"I have used this lawyer a few times. He communicates with his client's consistently and accurately. Unlike so many others in his field, he genuinely cares". "Very good experience with Mr. Sewell. He resolved my case without having to go to Court. I will use him again if I need legal help". "I recently used Steven for a discrimination case. I was very pleased with his effort and the matter was satisfactorily settled". "I used Mr. Sewell to prepare a contract for my company. He was very nice, kept me informed, and the result was exactly what I wanted. I would use him again". "Wonderful man. Very concerned about situation. Answered all questions so that I could make best decision possible. I would highly recommend him". "He is very professional and competent. He will do his homework and follow through. He's very knowledgeable and was of great assistance. He is wonderful about communicating with you about your case". 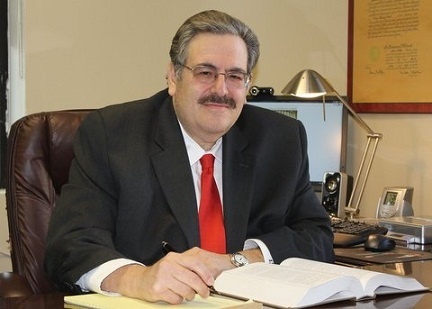 Steven H. Sewell, with more than 32 years of experience, is uniquely experienced in virtually every type of litigation concerning Corporate Litigation, Real Estate Law, Employment Law, Construction Law, Landlord and Tenant Law, and Discrimination Law. Mr. Sewell has substantial experience in Commercial and Residential Leasing. Additionally, a substantial portion of his practice encompasses business formation such a Corporations, Limited Liability Companies and Partnerships. Mr. Sewell was admitted to the New York State Bar in 1980, and was admitted in the Federal Courts of the Eastern District of New York and Southern District of New York in 1980. He received his undergraduate degree from the University of Rhode Island in 1976, and his J.D. from the New England School of Law in 1979. Prior to forming the present firm of Steven H. Sewell, P.C., in 1995, Mr. Sewell was a partner with Salamon, Gruber, Newman, Blaymore & Rothschild, P.C. Mr. Sewell is a member of the Nassau County Bar Association and the New York State Bar Association.